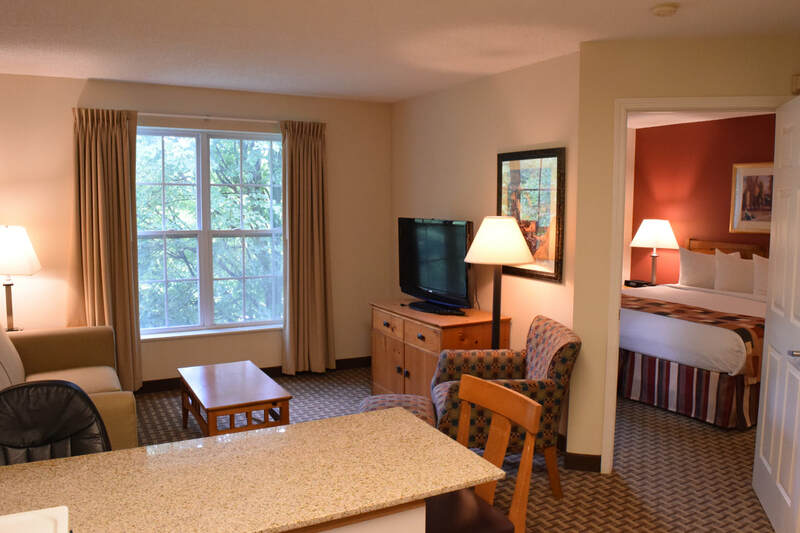 Find your home away from home at CrestHill Suites Syracuse! 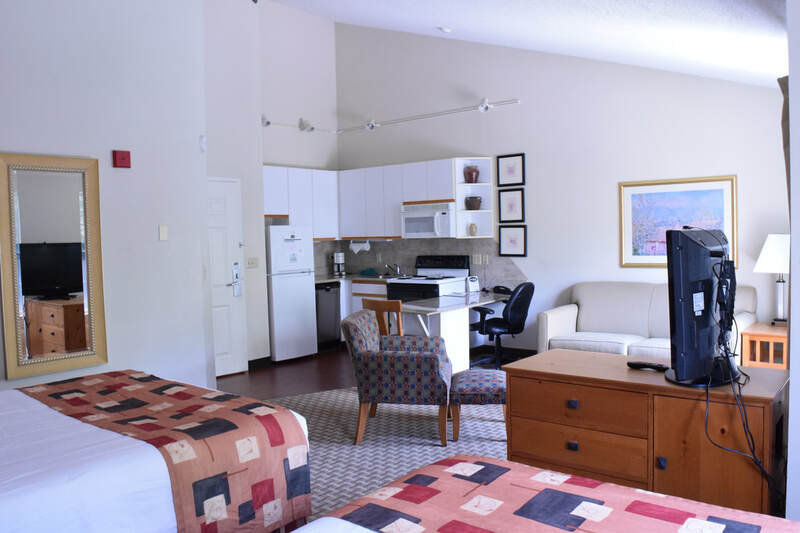 With clean design, ample space and contemporary amenities, our pet-friendly, apartment-style accommodations in East Syracuse offer everything you need for a great stay. Choose between studio, one-bedroom and two-bedroom suites, each of which boasts complimentary Wi-Fi access and a full-size sleeper sofa. Prepare a home-cooked meal whenever you want one in your full kitchen, or relax in front of your flat-screen TV. After a good night’s sleep, head down to our breakfast area, located off the lobby, for a delicious, complimentary buffet breakfast. 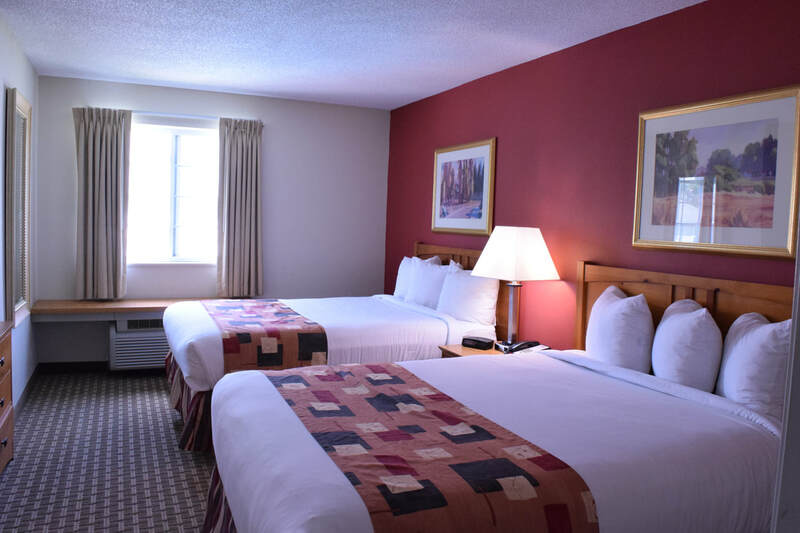 Settle in to this spacious, comfortably appointed suite, which features one King bed in a separate bedroom and a full-sized sleeper sofa in the living room, as well as complimentary Wi-Fi access. The bedroom and the living room both include flat-screen TVs. 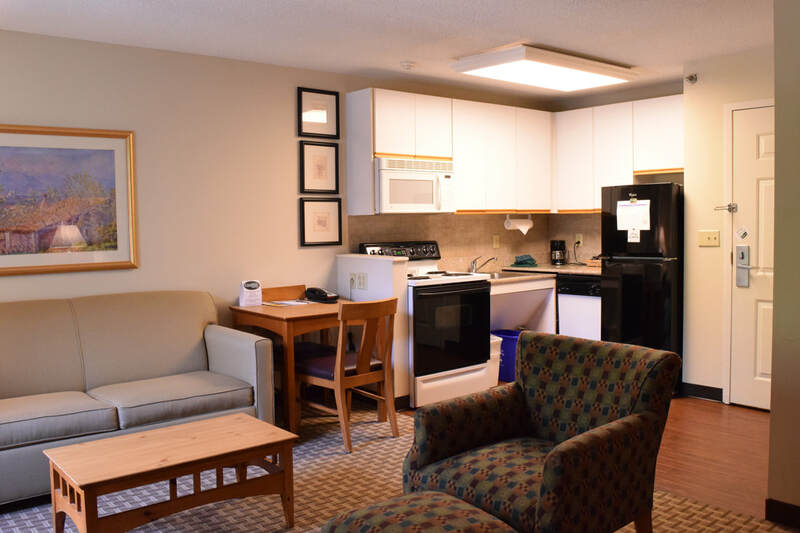 The kitchen is fully equipped with a refrigerator, microwave, stovetop/oven and dishwasher, perfect for an extended stay in East Syracuse, NY.